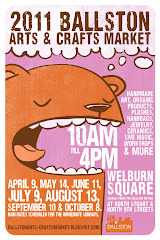 Art4Ever and BeadJewelryShopgirl had another fine day at the Ballston Arts + Crafts Market. The last and final market will be in October 8! Don't miss this last chance to see DC Craft Mafia in this venue.